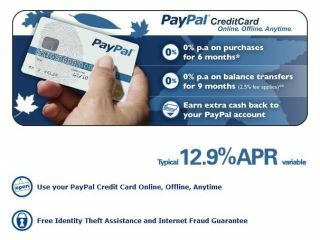 Online payment house PayPal is to debut a new way of using its service on all websites - even those that don't support PayPal as a payment method. The company is set to release a new plugin called the PayPal Secure Card which helps you fill out online shopping forms through the use of a browser button. So far so normal. But there's a difference. Through a partnership with MasterCard, the PayPal software generates a unique credit card number that is used for the transaction. The idea is that sellers don't have to do anything different, while the experience is seamless for the purchaser. "From a merchant's perspective this looks like any other MasterCard transaction," said Chris George, PayPal director of financial products told Reuters. "And it's just another PayPal purchase to the customer." PayPal will hope it can further improve on its position as the de facto online payment house - last quarter it handled over $12.2 billion (£5.9 billion) in payments. That's up more than 30 per cent compared with the same period last year. This latest initiative is another way in which the eBay-owned company is trying to make online transactions even more secure. The move is surely designed to pitch the service more squarely against Google Checkout and is available from today for customers in the US - we'll get to follow, though it's not clear exactly when. The service isn't yet platform agnostic, either. For now it will only work on Windows installations with IE or Firefox, though some early reports suggest the Firefox plugin is less than helpful, and doesn't fill in forms. Valleywag also points out that PayPal's online card isn't new - it's just recycling an old idea it first had six years ago.